Dr. William H. Robinson received his B.S. in electrical engineering from the Florida Agricultural and Mechanical University in 1996 and his M.S. in electrical engineering from the Georgia Institute of Technology (Georgia Tech) in 1998. 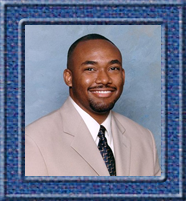 He received his Ph.D. in electrical and computer engineering from Georgia Tech in 2003. His dissertation was directed by Dr. D. Scott Wills who leads thePortable Image Computation Architectures (PICA) research group. Since August 2003, Dr. Robinson has served as an Assistant Professor in the Department of Electrical Engineering and Computer Science at Vanderbilt University. He is a member of theRadiation Effects and Reliability (RER) research group and collaborates with both the Institute for Space and Defense Electronics (ISDE) and the Institute for Software Integrated Systems (ISIS)at Vanderbilt University. His research explores the integration of computer system abstractions (e.g. microarchitecture, Instruction Set Architecture) to improve both system reliability and system security. Topics of interest include computer architecture design, integrated circuit (IC) design, rapid prototyping using field-programmable gate arrays (FPGAs), secure hardware platform design, radiation-hardening-by-design for digital circuitry, and mitigation of single event effects. Dr. Robinson is a member of the Institute of Electrical and Electronics Engineers (IEEE) and participates in the Computer Society , the Education Society , and the Lasers and Electro-Optics Society . Other professional memberships include the Association for Computing Machinery (ACM), the American Society of Engineering Educators (ASEE) , the National Society of Black Engineers (NSBE) , and SPIE � The International Society for Optical Engineering .